The Bolpur MP was served a showcause notice by the TMC in February for alleged derogatory remarks about Mahatma Gandhi and Jawaharlal Nehru. SURI: Trinamool Congress MP Anupam Hazra, who earned the ire of his party on several occasions for controversial Facebook posts, has deleted his account. 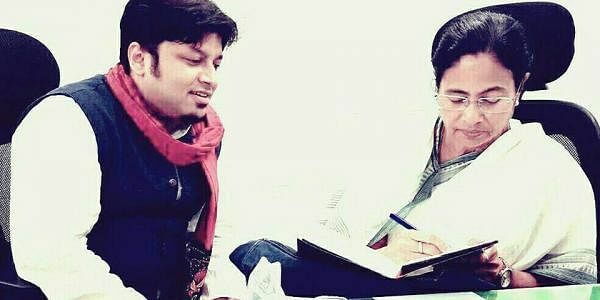 Talking to PTI yesterday after deleting his account, Hazra said, "Since my election to the Lok Sabha, there has been no complaint against me. My Facebook posts have been the only bone of contention as it sparked a lot of controversies. Therefore, I deleted my account." In the past, too, he had taken potshots at TMC's Birbhum district president Anubrata Mondal on social media. The Bolpur MP, however, said that his posts have been misinterpreted. "I never had any intention of disregarding anybody, but it was unfortunate that my Facebook posts were misinterpreted," he added.